London (February 11, 2016) – In celebration of the Cameroon National Youth Day 2016, The Goretti Experience releases the official film trailer: Woman. Woman explores topical discussions that affect the lives of many families around the world. 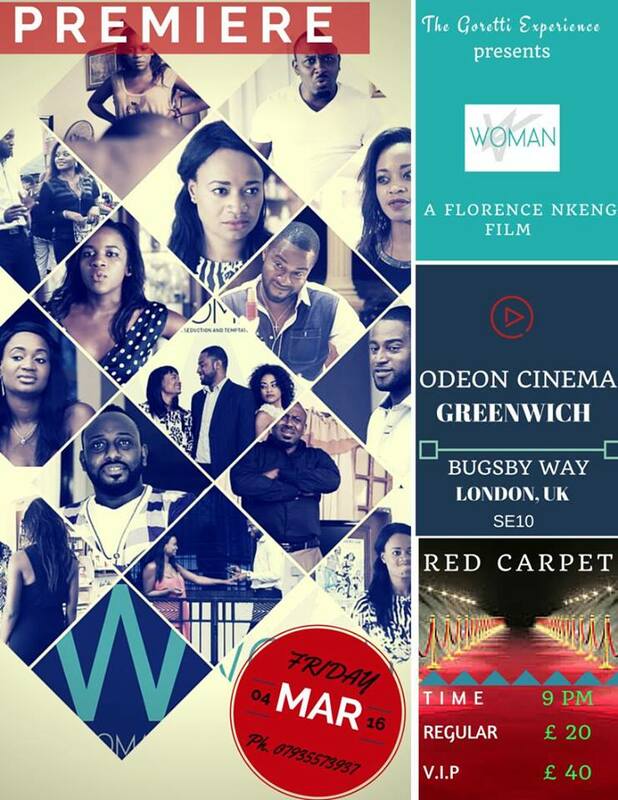 Womanis about to make history as the first ever fully Cameroonian film to be premiered in a major cinema in the UK. On March 4th 2016 at the famous Odeon cinema in Greenwich, London. Woman makes its red carpet world premiere from 9pm GMT. What an inspiration for Cameroon’s youth of today! “ The future of the Cameroonian film industry is very promising. The quality of the film content that comes out of Cameroon has and continues to compete in international film festivals. We hope that this will encourage the Cameroonian government to reopen cinema halls across the nation, hence giving today’s youth the push to pursue filmmaking as a career,” said Goretti.